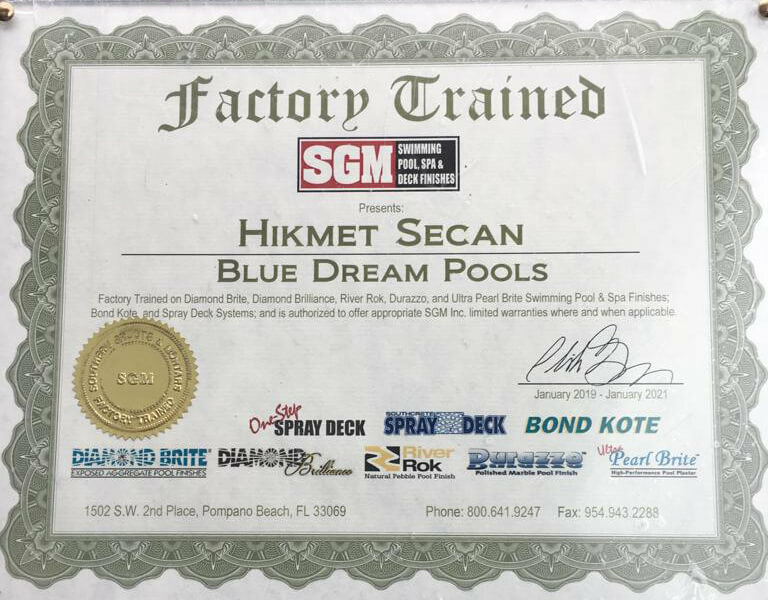 Blue Dream Pool is an in ground pool construction company based and operate Whitehouse Station, NJ. Blue Dream Pool provide to the clients the best complete service from nothing looking places into a full interior and exterior renovation.Blue Dream Pool also provide many handyman jobs like copings repairs, replacement, Tiles repairs and replacement. Plumbing pressure test, skimmers and return plumbing replacement. Our family business pool company in Whitehouse Station, NJ, works with customers to renew old, ugly pools into a beautiful looking pools that going to be a face of your house! Blue Dream Pool has installed 1000 of in ground vinyl liners in Whitehouse Station, NJ. We take really good measurements before we install it, to make sure it fits properly.